code of the solver is coming soon. APPL Offline implements the SARSOP algorithm [1,2] for solving discrete POMDPs. APPL Offline has already been used by many people all over the world. It takes as input a POMDP model in the POMDP or POMDPX file format and produces a policy file. APPL Online implements the DESPOT algorithm for online POMDP planning . Online POMDP planning enables us to scale up and handle POMDP models too large for offline POMDP policy computation. APPL Continuous implements the MCVI algorithm for solving continuous POMDPs [4,5]. It takes as input a POMDP model (coded in C++) and produce a policy file. 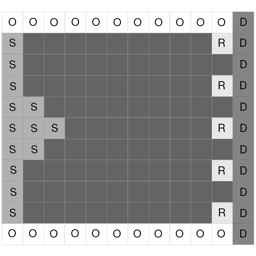 It also contains a simple simulator for evaluating the quality of the computed policy. Although all experimental software, the maturity of these three packages differ. While APPL Offline is well tested and largely stable, the other two packages are our latest efforts to expand the capability of APPL. At the moment, the three packages are independent. Maybe one day they will be merged in a single coherent framework. For bug reports and suggestions, please email motion@comp.nus.edu.sg. A. Somani, N. Ye, D. Hsu, and W.S. Lee. DESPOT: online POMDP planning with regularization. In Advances in Neural Information Processing Systems (NIPS). 2013. H.Y. Bai, D. Hsu, W.S. Lee, and V.A. Ngo. Monte Carlo value iteration for continuous-state POMDPs. 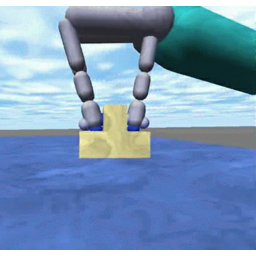 In D. Hsu et al., editors, Algorithmic Foundations of Robotics IX---Proc. Int. Workshop on the Algorithmic Foundations of Robotics (WAFR), 2010. H. Bai, D. Hsu, M. Kochenderfer, and W.S. Lee. Unmanned Aircraft Collision Avoidance using Continuous-State POMDPs. Proc. Robotics: Science and Systems, 2011.